New Item! A Music House Exclusive! 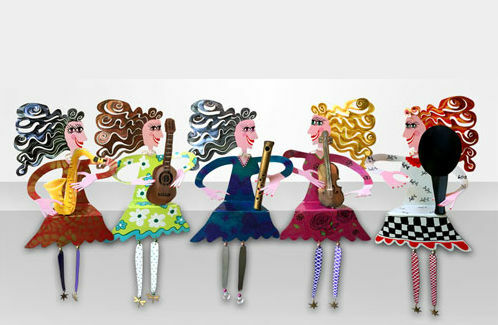 The talented sculpture artist Karen Rossi has designed five stunning music themed shelf sitters for TheMusicHouse.Com! 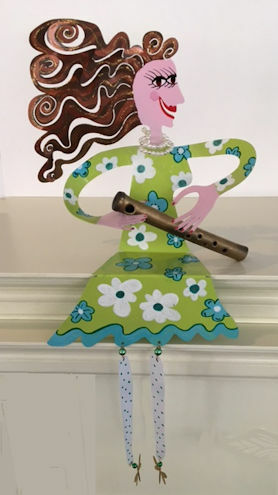 These adorable ladies sit on your shelf holding their various instruments including a saxophone, flute, violin, guitar, and a microphone. Their long hair appears to be flowing in the breeze, and their little legs whimsically dangle . 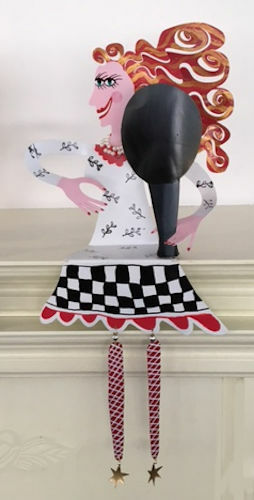 This is a perfect piece for a mantel, desk or book shelf. 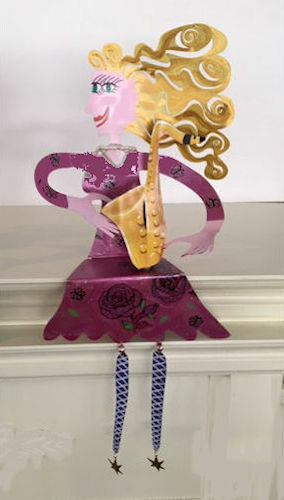 Purchase as a gift for the music lover in your life! Made of metal, they measure 10 1/2 high and dangle 7 1/2 inches down. Their arm spread is about 9" wide. 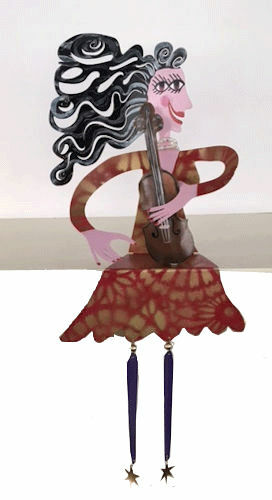 Karen Rossi is highly regarded for her original metal sculptures and mural paintings. 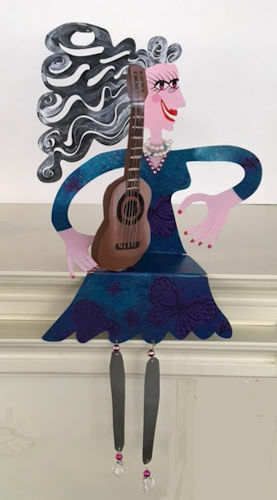 Her Art work is whimsical and vibrant.